Google "parenting" and you get 76,600,000 hits. Which websites have the information you need? Here are links to some of the best parenting websites out there. This website is chock-full of articles on any aspect of parenting you can think of and for any age. Whether you’re nursing an infant, potty-training a toddler, helping a third-grader with homework, or buying a cell phone for a teenager, this website has advice and ideas to help you out. What ails you? The Family Doctor website is a blog-style site that covers most all things health and medical. Learn more about health conditions, prevention of illnesses and wellness. This website is divided into three categories. For parents offering advice and help. For kids offering homework help and education. The teens section offers straight talk like teens like and advice. What are YOUR favorite parenting sites or resources? Click Here or scroll to the bottom of this page to add yours. Great list – I’m off to check out several of the links! I would add Punkymoms (http://www.punkymomsforum.com), the best parenting forum I have ever come across. A great place to find kid friendly restaurants and dining experiences. http://www.FreeBehaviorCharts.com is great for downloading free behavior charts and chore charts. thanks for the list. i really like this one I found called Plugged In Parents. it has articles about everything family-centered, even movie reviews. You can even email the staff pediatric nurse with questions. Google parenting and you get 76,600,000 hits. Which websites have the information you need? 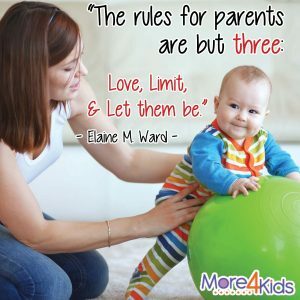 Here are links to some of the best parenting websites out there…. Excellent resource for techniques on how to respond to misbehavior and how to raise a child that can take responsibility for their own behavior. The first lesson is free to give the reader an opportunity to view the lesson plans. 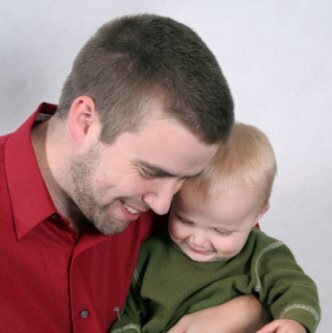 Great website for Dads of all ages! Gear, entertainment, cars, clothes, electronics, gadgets, articles on health, parenting, personal development, etc. Even has a great forum where you can discuss your topics of interest! For family adventures, fun, food and lots of chocolate, there’s http://www.heartandhome.net. It has regular blogs and lots of activities for all times of the year. With so many resources out there it can be overwhelming finding the perfect parenting website…who has the time to surf? Thanks for breaking it down. Hi, my name is Brie Holmes my Husband is Joe Holmes and we have 15 kids 10 girls and 5 boys. My kids are Khloe, Kodi, Keaton, Karliey, Kalista, Kendra, Klara, Kamryn, Karri, Koleton, Kamdyn, Kandace, Karson, Konnar, & Kacei. I recently visited your website and it is amazing I enjoy all the information. Thank you for having this website as a first resort for help, fun, and ideas. This site offers inspiring and oftentimes humurous stories about parenting. It is open to posts from anyone as long as the content is up to standard. Be sure to bring your tissues as this one can cause a few tears to be shed! Wish it had existed when my son was young. Wish it had existed whe my son was young. Thanks for this great list of parenting websites. I would add http://www.mobimotherhood.org/MM/default.aspx and http://allaboutcolic.com/ which have been vital for me through my colic/breastfeeding troubles. Thanks for the list, its fantastic. I have used a few of these to share with my parenting forum, I hope you dont mind. Thanks again. Wow, Stacey, what a great list of websites. Thanks for all your research. I know that homeschoolers, other parents, grandparents, teachers and others are constantly looking for books that will even change book haters into book lovers. I wanted to help with that. I’m Dr. Steve Fortosis and I’m a professional writer and editor. I developed an interest in child literacy. When I realized how many were searching for children’s books, I began researching thousands of children’s books. I chose several hundred of the very best and placed them on a website arranged by age group and story description. You can find some of the best children’s books on the site. It contains both secular and religious. The site address is http://www.books-to-grow-by.com if you care to check it out. What is the difference between bribing, blessing and rewarding children? This web site offers bible based concepts and provides positive parenting techniques that have been proven over many years by frustrated parents who never thought they could find joy in parenting. This token system provides guaranteed success within 30 days. This web site offers tips and ideas to creating healthy environments for children. Did you know that girls can start symptoms of PMS up to three years prior to a period? No wonder we parents are ready to pull our hair out with frustration! Learn how to spot symptoms and teach children to be responsible and accountable for their actions. Just when you feel you are ready to give up, this web site gives insight and hope to frustrated parents of strong-willed and disrespectful attitudes of siblings and family members. A happy family atmosphere is guaranteed within 30 days. This web site is a valuable pagemark in gaining insight to happy parenting for frustrated parents. The Happy Face Token System is a proven parenting app that works for difficult children with anti-conformist attitudes. They will be singing your praises and doing what you ask happily, the first time. Believe it! In fact it is guaranteed! Ever wondered why children should be bribed to be obedient? Learn the difference between bribe, blessing and rewarding. This web site uses the scriptures to give insights learned by a frustrated mother trying to do her best as she reconciles her lack of ability to raise children unto God. After learning about this heaven-sent program, she truly could say she loved being a mother and found joy in the journey she had otherwise thought to be a dead-end. Good Information. Thanks for sharing such a helpful list.